First known settlers were hunters and food-gatherers. Immigration of Celtic tribes. It is proven that around 100 BC there were at least 17 tribes settling on Scottish areas. Agricola and his Roman legions invade Scotland. Hadrian's Wall is built under the instruction of the Emperor Hadrian to protect the Roman Empire against the raids of Scottish tribes. The Picts begin to settle in the eastern Highlands. 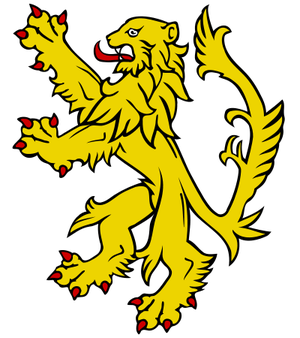 The Scotti establish their kingdom in the western Highlands and on the Hebrides. Coming from Wales Britons get settled in the Lowlands. Saint Columba (521 - 597) founds a monastery at Iona. From here Christianity was spread all over Scotland and its tribes. Iona became the burial site for many early Scottish, Irish and Norwegian kings. Kenneth MacAlpin, King of Dalriada, forms a union of Picts and Scots and defeats the Germanic tribes. This was the first step in creating a kingdom called Scotia, Kenneth is announced the first king of Scotland. He makes Scone his capital, and brings to it the sacred Stone of Destiny, used in the coronation of Scottish kings. William the Conqueror invades England in 1066, many Anglo-Saxons from England settle in the Lowlands of Scotland. Here the Lowlanders gradually adopt English ways in culture and language, whilst the Highlanders don't. Scotland allies itself with France against England. This alliance lasts up to the 17th century! Birth of William Wallace. He leads the Scots into numerous battles during their wars of independence and becomes a national hero. Robert de Brus (later Robert the Bruce) is born on July 11th, 1274. The Battle of Stirling Bridge. On 11 September 1297, the forces of Andrew Moray and William Wallace defeat the combined English forces near Stirling, on the River Forth. About 15.000 Scots fight against 50.000 English soldiers. The Scots deploy in a commanding position dominating the soft, flat ground to the north of the river whilst the English make several strategic mistakes. Nearly 7000 English soldiers are killed in this battle - and only a few hundred Scots on the other side! The Battle of Falkirk takes place on July 22nd, 1298. In disagreement with each other and their cavalry being outnumbered at the rate of 1:6 the Scottish army has no chance to win and is literally butchered. William Wallace flees to France. 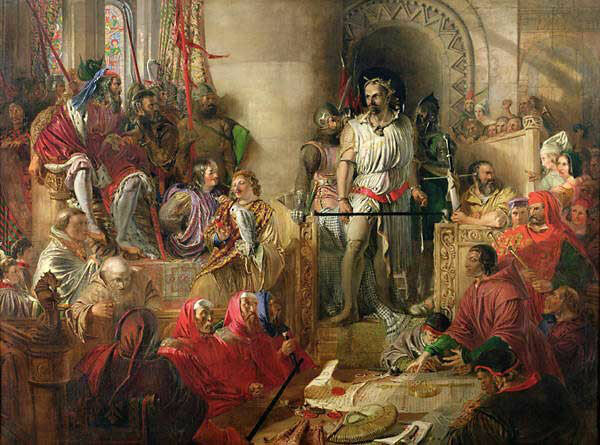 After his return to Scotland William Wallace, betrayed by one of his fellow countrymen, is captured on August 3rd, 1305. On August 23rd 1305 he is charged with high treason and condemned to a most cruel death. He gets hanged, drawn and gutted, then beheaded and quartered. His body parts are being sent to all four parts of the country, his head being spiked at London Bridge. On March 25th, 1306 Robert the Bruce is crowned king. Robert the Bruce leads his 6500 strong army, lightly armed, against about 18.500 well equipped Englishmen into the Battle of Bannockburn. By making tactically astute decisions the Scots manage to drive the English troups into the Bannock Burn and literally butcher them all. More than 4000 Englishmen get killed - and only about 400 on the Scots' side. Scotland is free! Declaration of Arbroath made on April 6th, 1320. It is in the form of a letter written by a number of Scottish noblemen and submitted to Pope John XXII, intended to confirm Scotland's status as an independent, sovereign state and defending Scotland's right to use military action when unjustly attacked. It is the first Declaration of Independence ever. On March 17th, 1328 the Wars of Independence end with the Treaty of Edinburgh and Northampton. England recognises Scotland's independence. On June 19th, 1329, Robert the Bruce dies, probably from the consequence of leprosy. On August 8th, 1503, James IV. gets married to Margaret Tudor, daughter of Henry VII. This marriage lays the foundation of the subsequent unification of crowns and countries. On December 07th/08th 1542 Mary Stewart (at a later time Stuart) is born. Her father dies when she's only six days old, so she becomes Queen of Scotland at that very early age and is officially crowned Queen of Scotland on September 9th, 1543, at Stirling Castle. Mary Stuart gets executed for alleged conspiracy on February 8th, 1587, by order of Elizabeth I. and after being in prison for 18 years. On March 24th, 1603 James VI. mounts the English throne as the legal successor of Elizabeth I. Thus the unification of the crowns is executed, almost 100 years after the marriage of James IV. and Margaret Tudor. Outbreak of the English Revolution. The bloody wars of religion between the Royalists and the Covenanters begin. First Jacobite Rising led by Viscount Dundee. On July 27th, 1689 the Battle of Killiecrankie takes place. The Royal army is already beaten when Dundee mortally shot by a stray bullet. Being leaderless, the rising collapses within a short time. Early in the morning of February 13th, 1692, in the aftermath of the Glorious Revolution and the Jacobite uprising of 1689 a massacre takes place in Glencoe, in the Highlands of Scotland. This incident is referred to as the Massacre of Glencoe. Thirty-eight MacDonalds from the Clan MacDonald of Glencoe get killed by the Clan Campbell guests who had accepted their hospitality, on the grounds that the MacDonalds had not been prompt in pledging allegiance to the new monarchs, William and Mary. Another forty women and children died of exposure after their homes were burned. Since that incident Glencoe is also referred to as "Glen of Tears". Acts of Union. The Acts of Union were two Parliamentary Acts - the Union with Scotland Act passed in 1706 by the Parliament of England, and the Union with England Act passed in 1707 by the Parliament of Scotland - which put into effect the terms of the Treaty of Union that had been agreed on 22 July 1706, following negotiation between commissioners representing the parliaments of the two countries. The Acts joined the Kingdom of England and the Kingdom of Scotland (previously separate states, with separate legislatures but with the same monarch) into a single, united kingdom named "Great Britain". George I. ascends the British throne as the first monarch of the House of Hanover. The Scottish supporters of the Stuarts, the Jacobites, rise under the guidance of the Earl of Mar. On December 31st, 1720, Charles Edward Stuart is born in Rome. He is the son of James Francis Edward Stuart, who is raising a claim on the Scottish throne. On July 25th, 1745, Prince Charles Edward Stuart (Bonnie Prince Charlie) lands on the west coast of Scotland and raises a claim to the Scottish throne. 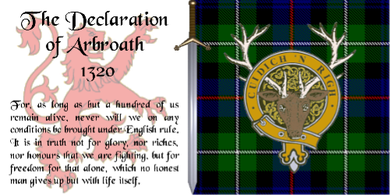 On August 19th, 1745, he raises the Jacobite standard at Glenfinnan in the Scottish Highlands, where he was supported by a gathering of Highland clansmen. This marks the beginning of the second Jacobite Rising. 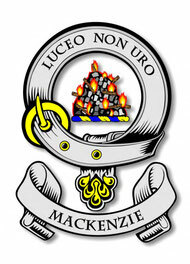 On January 17th, 1746, the Jacobites defeat the British Troops at the second Battle of Falkirk. The Duke of Cumberland moves up leading a massive force. On April 16th, 1746, about 5000 badly provided, overtired and demoralized Jacobits face the well equipped and provided army, about 9000 strong, under guidance of the Duke of Cumberland. The Battle of Culloden Moor takes around 45 minutes only. All Jacobites remaining on the battlefields are massacred without mercy. It is the final battle on Scottish soil. Prince Charlie manages to escape and later flees to Italy. 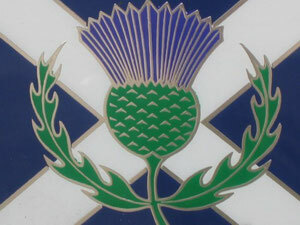 In consequence of the defeat, all signs of affiliation with the Highland-Clans, such as the wearing of Kilts and Tartans or playing the bagpipes, are prohibited. On January 25th, 1759, Robert Burns is born. He is going to be the national bard of Scotland. His birthday is still celebrated as a national holiday by Scots all over the world. The Highland-Clearances commence. Crofters are being dispossessed from their lands in favour of sheep farming. Nearly 50.000 people leave Scotland per annum, the Highlands are literally getting depopulated. During his visit to Scotland, George IV. is wearing a Kilt, which leads to the renaissance of Kilt, Tartan and bagpipes. This is primarily thanks to Sir Walter Scott, who acts as a master of ceremonies. 700 years after the abduction of the Stone of Scone as a war loot by Edward I. in 1296, the stone returns to Scotland. The Scottish Parliament is reconvened in Edinburgh after almost 300 years. The new parliament building is formally opened by The Queen on October 9th, 2004. For that purpose the Scottish crown jewels are being brought to the parliament. "The Gathering 2009" is a two-day weekend event, celebrating Scottish culture, held between July 25th–26th, 2009. The event is held at Holyrood Park, Edinburgh, and attracts around 47.000 people from all over the world. Over 125 Scottish clans were represented in what is described as the largest Clan gathering in Scotland's history.